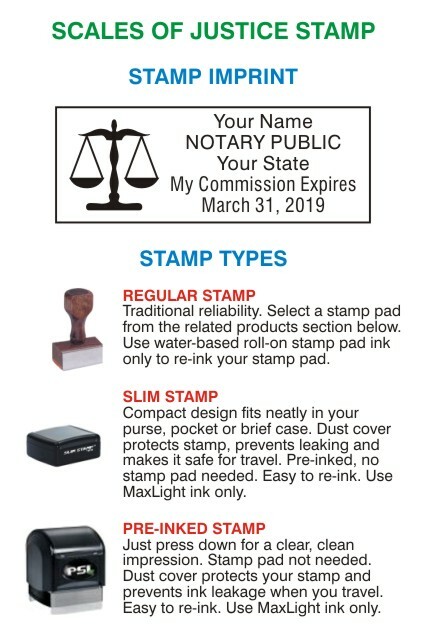 Would you like to add a Notary Record Book? Would you like to add a Notary Tote Bag? 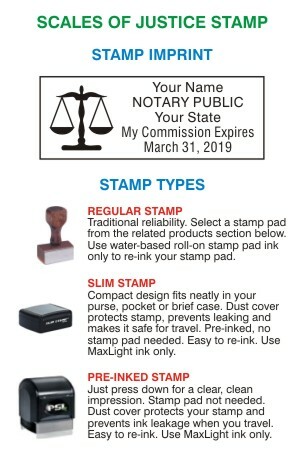 Quickly and easily stamp your return address on envelopes, post cards, change of address forms, checks, etc. Stamp the front of courtesy envelopes so people can return something to you without having to write your address. The longest line should be 1.5"
Endorse your checks for deposit into your bank account securely, quickly and easily. This stamp has all the information you need. Customize it to include all the information you want to place on the back of your checks. The longest line should be 1.5"
High quality felt stamp pads. 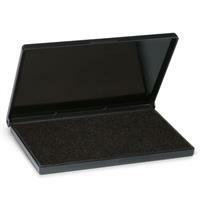 The smooth felt surface along with a high quality ink gives a clear, even impression with attention to detail. Sturdy thick plastic case. 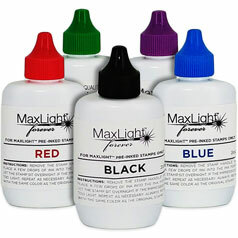 Available in balck, red, blue, green or purple ink. Drip spout makes it easy to re-ink. 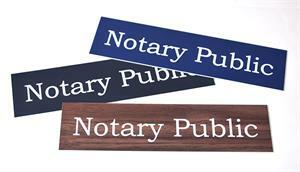 Engraved plastic sign that says "NOTARY PUBLC" Get your notary signs here! 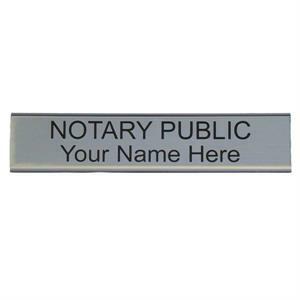 Engraved plastic sign with your name on the top line and "NOTARY PUBLIC" on the bottom line.